Back in the day, Sylvester Stallone was a fan of Tony Robbins and invited him for diner. They got to talking about his story, and how he rose to success.This is the story that Sly told to Tony at that diner. Stallone had a deep desire to be in movies from a very young age. He wanted to inspire people to overcome obstacles. In his own life, he had done just that. He was pulled out by the forceps at birth which is why he talked and looked the way he does. This made it incredibly hard for him to get his foot in the door. Sly says that he was thrown out of the New York agencies 1500 times, going to each one about 10 times. His first gig came when he showed up at an agency at 4 p.m. and the guy wouldn’t see him. Sly never left, and spent the night in that office. When the guy got back the next day, he put him in a movie out of annoyance. Sly played a thug who got beat up for about 20 seconds. He got a few more roles like that but nothing stuck. He was dead broke, couldn’t afford to pay for heat in his apartment. Went to the library one day because he was freezing cold, and it was warm in the library. Happened on a book by Edgar Allen Poe, which inspired him to be a writer. He wrote a bunch of screenplays. Finally, he sold the script to Paradise Alley, which Sly would eventually star in, for 100 dollars. He felt on top of the world but was shortly dead broke again and had to sell his wifes jewelry. He couldn’t afford to feed his dog, his best friend, so he went to a liquor store and sold his dog to a stranger for $25. He walked away crying. Two weeks later, he was watching the Muhammad Ali vs. Chuck Wepner Fight, where Chuck gets bludgeoned but keeps coming back. As soon as the fight ended, he wrote for 20 strait hours. The movie was done. He had written Rocky. He took it to all the agencies who called it predictable and stupid. Finally, some guys want to give him $125,000 for the script. He wouldn’t sell it to them unless he starred in it. 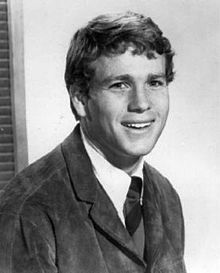 They didn’t want him starred in it They wanted Ryan O’Neal as Rocky. Sly walked away from $125,000 while he was dead broke because he had a dream. They called him again and offered him $250,000, and he turned it down. 350,000 and he turned it down. Finally, they compromised and gave him 35,000 and points in the movie and the starring role, which he took. Since then Rocky has grossed over 200 million dollars, ironically making the $35,000 with points the most lucrative deal of any of the offers. He went to the liquor store for three strait days looking to get his dog back. On the third day, he saw the man and his dog. He offered 100 dollars, four times the amount he paid. He got rejected. $500 dollars. No. $1000. No. He ended up paying $15,000 for his dog. On top of that he gave a role in Rocky to the guy who had his dog. The dog, Butkus in Rocky is Stallone’s real dog, who he paid 15 grand for when he only had 35. Rocky went on to become a ridiculous success, propelling Sylvester Stallone into the ranks of A list actor. He got the money, and more importantly, achieved his dream by being relentless, never settling, and a bunch of hard work.